SWEET S10 ZR2 4X4, Stop just a few mins and take a look at this 2003 Chevrolet S-10 Extra Cab ZR2 4WD that just arrived at Boyles Auto in Jasper Al. Local Truck never been titled outside of Alabama, and never been in a accident per Car Fax. Serviced from front to back with fresh oil and filter change so you can buy in complete confindence 100% ride and drive. This S-10 ZR2 is equiped with power door/windows/mirrors, remote keyless, pust button 4wd, am/fm/cd, and super clean inside. Outside this S-10 ZR2 you will find the paint is smooth as glass, factory towing package, and fog lights. Make the short drive to Boyles Auto and take this ZR2 for a spin, You'll be Impressed. We have bank and credit union financing with super low rates, so you can take this S-10 home today. Call Scott or Tucker at 205 265 3011, or Randy at 205 265 3196. 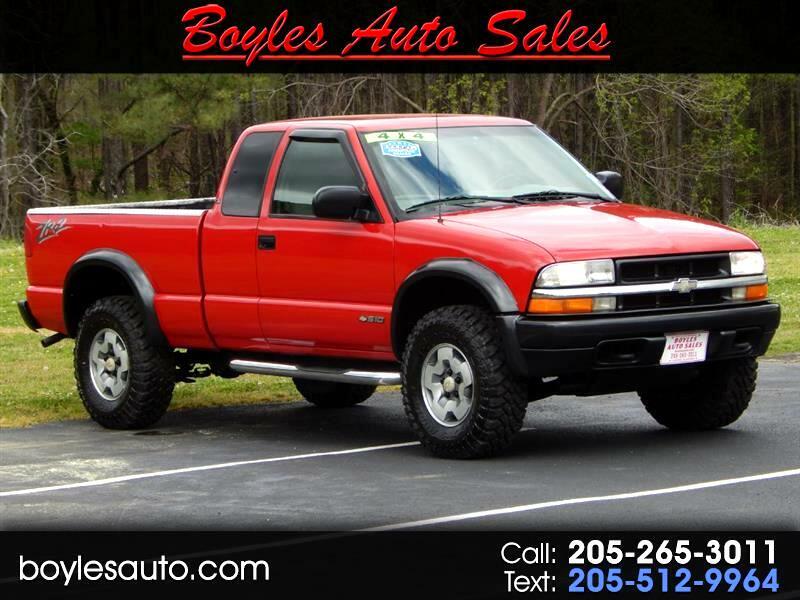 Visit our website at www.boylesautosales.com to see more trucks or to fill out your credit app for faster financing. Thank You!